Super high natural sugar content Delicious table corn, also ideal for canning and freezing Holds its flavor longer than most corns 14 to 16 rows of kernels Approximately 90 days to maturity. CORN: Did you know that corn is America's number one field crop? Corn leads all other crops in value & volume of production. Corn in a major component in many food items like cereals, peanut butter, snack foods and soft drinks. Corn is produced on every continent in the world with the exception of Antarctica. Exports are critical to the well being of American agriculture. Nearly 1/3 of our nations corn crop is targeted for exports. Kandy Corn Sweet Corn: Super high natural sugar content. 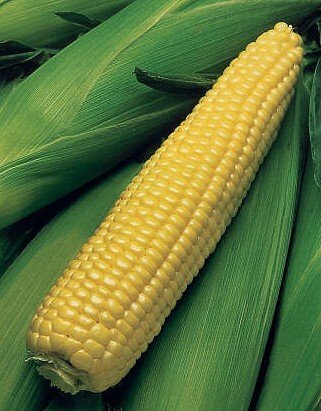 Delicious table corn, also ideal for canning and freezing. Holds its flavor longer than most corns. 14 to 16 rows of kernels. Approximately 90 days to maturity.